By the time Michael Jones was 16, he knew exactly what he wanted in life: to be on the Inc. 500 list – a ranking of the 500 fastest-growing private companies in the United States. By the time he was 35, the healthcare company he founded, IPG, had achieved that and more. But what Jones would do after that milestone would change not only his own life, but the lives of people around the globe. “When I was a teenager, I thought that material success would be the key to a happy life,” said Jones. He yearned to create a business less centered on turning profits and more on helping people. So in 2011, Jones made one of the biggest decisions of his life – he would leave his booming healthcare company and search for a way to make a difference. It was during that sabbatical that Jones remembered a conversation with his father-in-law, a local coffee farmer in Jamaica, about the hardships coffee farmers face because of a disadvantageous pricing system. That system, padded with middlemen along every step of the process, leaves the farmers who grow the coffee earning only pennies on the dollar, and depending on a volatile commodity price set on a global level. 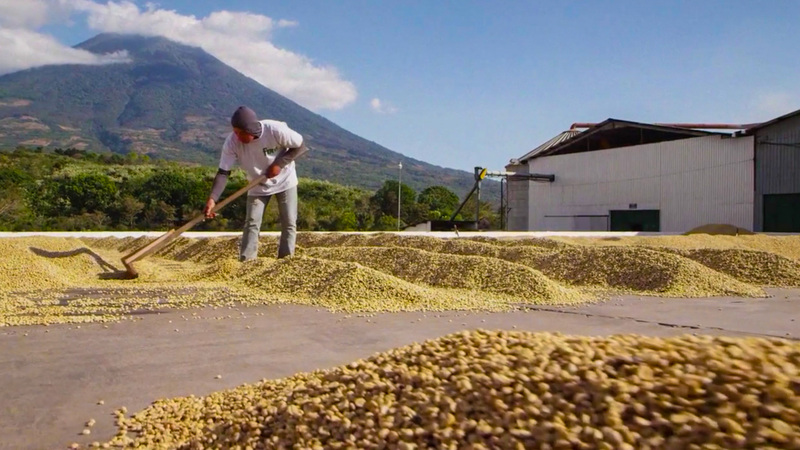 “The coffee industry was broken, and I wanted to fix it,” he said. With that mission in mind, but not knowing how to do it, Jones relied on his entrepreneurial spirit and called on Kenneth Lander, a retired lawyer-turned-farmer living in Costa Rica. Together they created what would become THRIVE Farmers Coffee. “My career was built on taking risks, so I’m comfortable with that,” Jones said. That risk involved learning the coffee business and creating an entirely new approach that puts the farmer first. The result: a unique revenue-sharing model that stabilizes the price paid to farmers each year – and increases the farmers’ earning potential. “We sign contracts with actual farmers and farmer groups to supply high-quality coffee,” Jones said. The model gives farmers more control and relieves the burden of the ever-changing commodity markets by providing a stable, predictable and higher price. Here’s how it works: Farmers hand-plant the coffee seeds, and at peak ripeness, they hand-pick the cherries (yes, coffee comes from fruit). The farmers then stay involved in the entire milling, drying and exporting processes — areas where middlemen previously took over and reaped the rewards. By eliminating all non-essential layers in the supply chain, the THRIVE Farmers model creates economic sustainability for farmers, allowing them to sell their coffee directly to businesses and earn a stable, predictable income – up to 10 times more than they would through traditional markets. As a result, farmers and their families are able to reinvest in their communities and crops in ways they never could before. For example, farmers in Concepcion Pinula, Guatemala have collectively garnered more than $100,000 more revenue through the THRIVE Farmers model than they would have from selling to local brokers through the traditional model. While Jones was building the THRIVE Farmers coffee business, another company was looking to make a big change. “We wanted to give our customers a better cup of coffee,” said David Farmer. Farmer, who leads the menu development team at Chick-fil-A, says the restaurant’s coffee was good, but not great. Like Jones, Farmer’s team began the search for something better. They found it in THRIVE Farmers and, while it was a relatively unknown coffee company, decided to take a chance. Lydia Matamoros is one of those farmers. She oversees Monte Rosa Coffee Farm in Naranjo, Costa Rica, and has seen firsthand the positive impact THRIVE Farmers has had not only on her family, but the families of the 50 farmers she employs. The partnership has been so impactful that it has already resulted in the installation of a new mobile dental clinic serving the farming community of Palmares, Costa Rica, and the operation of a medical clinic for employees working with partnering farms in San Miguel Dueñas, Antigua, Guatemala. 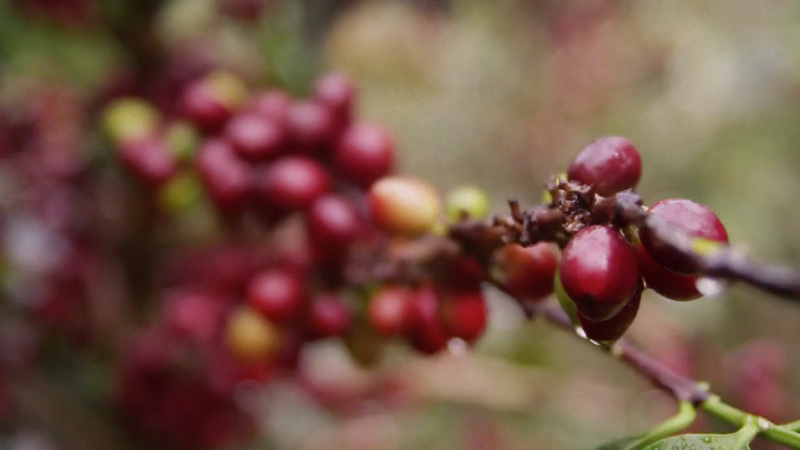 The coffee THRIVE Farmers brews for Chick-fil-A is unique. It was specially developed to match the flavors on the restaurant’s breakfast menu. It’s also the first coffee in the quick-service restaurant industry to earn the distinction of “specialty grade,” a designation bestowed by the Specialty Coffee Association of America upon just 10 percent of the world’s coffee based on balance, body, taste and aroma. And while experts judge with titles like “specialty,” customers judge with the orders they place at the restaurant. 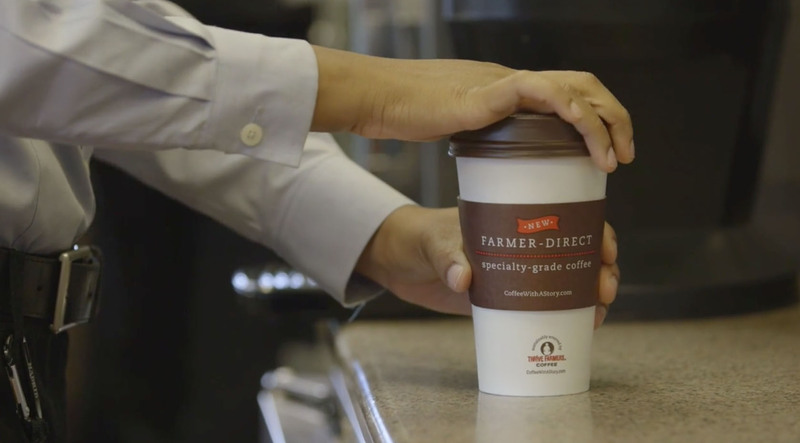 One year after partnering with THRIVE Farmers in 2014, Chick-fil-A’s coffee sales doubled. That same year, the combination of premium coffee and a good cause helped THRIVE Farmers make the Inc. 500 list, ranking as the 19th fastest-growing, privately-held company in the nation. Jones’ childhood dream had come true a second time, but this time the symbol of success meant much more: that he can continue his mission of putting people first, and profits second, because the farmers are the ones who benefit in the long run. “Our partnership with Chick-fil-A is rooted in a shared commitment to both high-quality coffee and having a positive impact on farmers and their communities,” said Jones. That means at the restaurant company’s 2,000-plus restaurants, customers are making a difference, cup by cup.